Woman Issues That Concern You! Your Inner Health Woman Issues are important. 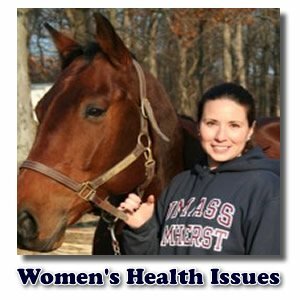 Women's health issues can be very unique, and not all doctors get that. This isn't really an official women's health guide, but hopefully some "woman to woman" health issue concerns can be answered here. We'd like to equip you with some natural solutions to the most common problems we women face. I think most men try to ignore their health issues. Perhaps they feel that it's a sign of weakness to let on that everything isn't quite right. As a result, they suffer in silence and ignore their problems until a serious breakdown in health occurs. Just between us girls? I think that's ridiculous! Isn't it wiser to be aware of what's going on in your body and do your best to keep yourself functioning like a well oiled machine? Some guys wouldn't dream of neglecting the maintenance on their car, motorcycle, or boat. That's just common sense to them. But they'll run their own body right into the ground before taking any action to keep themselves in tip-top shape! Okay, enough picking on the fellows. :-) Let's talk about us! We can be pretty neglectful of our own health, but for different reasons. It seems to be that most of my friends neglect dealing with their own health concerns because they are so busy worrying about everyone else and taking care of their needs that they put themselves at the bottom of the list. While that's commendable in a lot of ways, and part of the way God designed us to be nurturing and care-giving, we have to think about the practicalities too. Realistically, how in the world are we going to be able to effectively care for our family and loved ones if we are out of commission because we didn't stop to take the time to make sure our own health was a priority? Do you see my point? I hope so. ...and that's just getting us started! As time permits and your questions come in, we will cover these issues and more. I won't be promoting the latest drugs on the market. Instead, I'll be researching the best natural remedies I can find for women health issues so that we can be our best naturally. Who knows? Maybe this project will turn out to be a mini woman's health guide after all! Is progesterone cream age appropriate for me? Blasto Hominus? Anyone else have this problem?